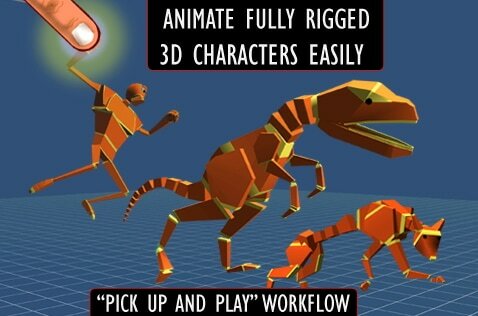 The best editor helps you easily make 3D animation with powerful features. You don’t need to use your desktop to create exciting, fun and thought-provoking 3D animations. In fact, more and more people are producing outstanding 3D animation videos through their apps. There are many great reasons for creating videos on your phone or tablet. You don’t need to carry your laptop around with you all the time or use your desktop to get the results that you require. Read on to learn more about six of the very best 3D animation apps for your phone. It is true that you can make animation on your phone, but editing 3D animation on desktop is necessary if you want to have more controls on animation video. Here we recommend using FilmoraPro. You can use it to make 3D animation or 2D animation by adding keyframes, so the animation will be smooth and natural. You just need to build a white plane to easily start making animation. Besides, color correction and audio mixer will raise up your animation video to a new level. Download it to have a try (Free)! Below is a comparison table of 3D animation apps. It is a quick introduction of these 6 3D animation software on Android and iPhone. Take a look. This best 3D animation app promises to give you “everything you need at your fingertips” and is one of the most efficient smartphone and tablet 3D animation editors on the market. It’s easy to export and share your work when it is finished, and the app is compatible with iPhones and iPads. You can create poses within moments and animate them immediately. Key features include the Full Body Inverse Kinematics Algorithm, importing of sound data and a HandEditor, Face Editor and SceneEditor. You can also import your own photos and create characters that can lip-sync to voices. The app allows you to create vertical and horizontal videos. This app allows you to draw, animate and narrate cartoons. Toontastic as a best 3D animation app can record your voice and animations and store your animations on your device. Many people are using the app to create photo albums, put together news reports, and create adventures and much more. The animation maker has received glowing reviews from many leading media outlets and was even named the Best Kids App of the Year for 2017. Download the app to create pirates, villains, robots and all sorts of different characters. Built-in songs are available, and there are three Story Arcs to choose from. You can even add yourself to your stories. 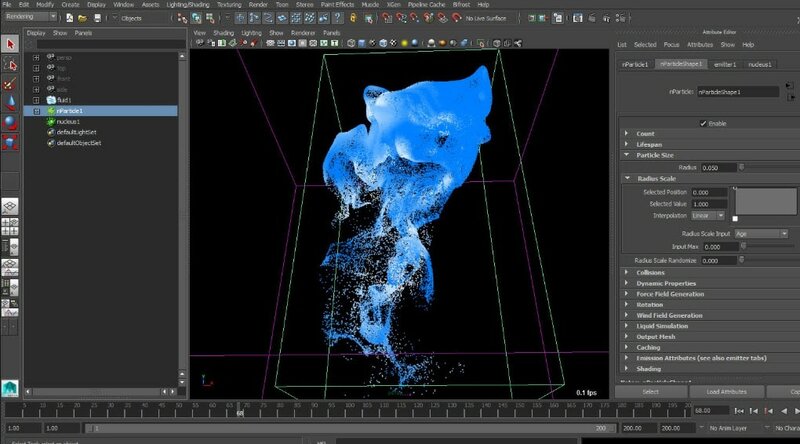 Maya is developed by Autodesk, Inc and can be used to produce interactive 3D applications such as visual effects, animated films, video games and more. 3D assets created in Maya have been seen in various films, TV series and games. Those seeking a reliable 3D modeling, animation, rendering and imaging solution should feel well catered-for by Maya. Animate It! Comes with a host of useful features for the ambitious animators of today. The animation app allows you to create sketches and poses on your tablet and smartphone whenever inspiration strikes. It offers simple, intuitive controls, and you can perform various actions by finger touching, touching and dragging and more. The app can even be used by children to create animations, though is also a favorite with students, games developers and professional animators. There are various skins available for your characters, as well as props and land creation facilities. This 3D animation app is perfect for kids in particular but is ideal for adults too. Kids across the world have been using Animate Me to create exciting 3D animations and upload them to YouTube. The app comes with in-built cartoon characters that help kids and those new to the world of animation to get to grips with the basics. It’s possible to make characters perform various actions, including walking, running, jumping and talking with the app. There are also video tutorials that will help you get more out of the app. The Everyplay feature enables you to share your work across all kinds of online platforms, including not only YouTube but Facebook and Twitter too. If you’re looking for a tool that will let you gain a deeper understanding of 3D and character animation, Anim8 may well be the perfect solution. You can use the app to pose five existing characters in a 3D environment, with the controls being highly intuitive and efficient. Many people are drawn to this app because of its simplicity. The app has been designed by leading character animators, and you can start animating within just a few minutes once you have downloaded it. Full body animation is possible thanks to the advanced articulation on offer, and you can sketch out key poses with the drawing tool. The onion skin feature will help you plan out poses and time in a precise manner, and you can easily upload your work to a plethora of online platforms, including Facebook, Twitter and YouTube. There are more than 30 points of articulation, and you can also import audio with ease. 3D animation apps are ideal for those wishing to learn new skills and heighten their creativity. No matter what you’re looking for, we’re confident that you’ll find an app that meets your needs above. You can also use leading tools such as FilmoraPro to edit your video and add extra effects to add an extra touch of magic to your work. Why not get started right now?